Rehoboth Beach ReMax Real Estate homes for sale can be found on this page and are MLS searched and updated daily compliments of Rehoboth RE/Max Real Estate Agent Joe Bowski . Contact Joe a RE/MAX Rehoboth Beach Real Estate expert for buying or selling your Rehoboth Beach Real Estate. NOBODY SELLS MORE REAL ESTATE THAN RE/MAX!!!! Rehoboth Beach homes east of Route 1 are hot selling items for Delaware home buyers and out of state buyers, especially those looking for an ideal place to retire. With a fabulous selection of MLS inventory just waiting for you, house shoppers like yourself have a sundry array of home types to choose from. This may be the best home buyers market that you will will ever see in your lifetime for East Rehoboth Beach homes like never before. Prices have been slashed and some outstanding bargains abound! In addition, new land for more development is non existent, meaning that the Rehoboth beach real estate market is both waterbound and landlocked. 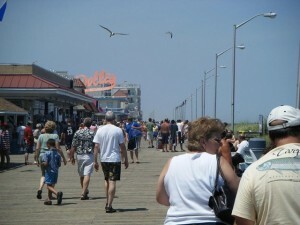 As existing inventory dwindles and population increases, prices on Rehoboth real estate would most likely appreciate. Rehoboth Beach Homes on the east side of Route 1 offer residents not just fabulous natural beauty from its lovely boardwalk, but access to one of the cleanest, most enjoyable beaches to be found anywhere in the country. And, owning one of these Rehoboth properties offer you exceptional recreation opportunities with a substantial network of state parks—including the famous Pendelton State Park—as well as fantastic fishing (off-shore and deep-sea) and surfing. Best of all, all of this great living is within an easy 2-hour drive from major metro areas like DC, Baltimore and Philadelphia, making East Rehoboth Beach homes the perfect get-away spot for friends and families. Deleware was recently ranked by Kiplinger as the most tax-friendly state for retirement, and little wonder. For residents 65 and older, Delaware offers a variety of tax incentives including discounted property taxes and income tax relief for lower income residents. So even though Delaware enjoys the 7th highest average salaries in the country and is the 9th fastest growing state in the union, the state still remains homeowner-friendly and welcoming to all of its residents and East Rehoboth Beach Homes is a fine example of this spirit of community. What’s Hot in East Rehoboth? Townhomes and condos are very popular East Rehoboth Beach homes right now, especially in the $200,000 to $400,000 range where there is a great selection in a variety of styles and finishes. Townhome and condo living is particularly attractive to residents who travel, either for business or pleasure, because you are free to lock the door and leave without worrying about keep the lawn mowed or the snow shoveled. If this sounds like a familiar lifestyle, you will be pleasantly surprised by rich inventory you will have to choose from. Up-scale Home Buyers will be Delighted with East Rehoboth Beach Homes too! As with any popular area, East Rehoboth Beach offers homes in all price ranges including luxury homes for its up-scale buyers. The area is dotted with lovely executive and luxury home communities that are sure to please. These include the fabulous north shore area close to the state park and the intriguing upper end with its picturesque marinas and the exclusive Henlopen Acres, a seaside community of under 400 residents located between Lewes and Rehoboth Beach. Incorporated in 1970, Henlopen Acres was actually developed in the 1930s and is today graced with a sumptuous selection of $1M+ single family homes. Together with the East Rehoboth Beach homes, Henlopen Acres rounds out an exceptional inventory in a broad range of prices and styles for today’s prospective homebuyers. Whether you are considering a modest townhome or a luxury home in the East Rehoboth Beach area, you will want to contact Joe. As one of the area’s most knowledgeable and experienced agents, you will enjoy his no-nonsence and straight-forward approach to helping clients and customers buy and sell East Rehoboth Beach Homes. Joe’s long list of outstanding credentials includes the Certified Distressed Property Expert® (CDPE) designation that permits him to provide clients and customers with the full range of professional real estate services. 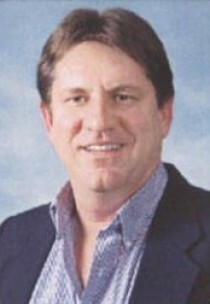 Additionally, Joe has developed properties himself and has represented other developers in the state. 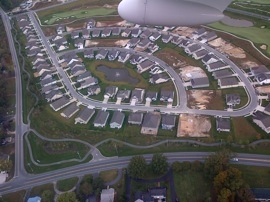 Currently Joe is representing Plantation Lakes, which is the largest development in the state of Delaware. With this kind of experience on your side, Joe will make certain that your search for East Rehoboth Beach homes will be a well executed and trouble free experience. Contact Joe today and before you know it you will be calling one of these East Rehoboth Beach Homes your own.